I’m a wanderer. Born and mostly raised in Louisiana, I have lived in and/or traveled to Seattle, Florida, New York (both upstate and the city), Vancouver, Montreal, London, Paris, Barcelona, Southeast Asia, Greece, and Dublin, to name a few. In my eyes, I am one of the fortunate ones … to know what it’s like to live and be raised in the cultural hub of Louisiana … and to leave and learn to appreciate it. And for the past year, I’ve been either on the road or in a plane, packing and unpacking, and learning the grace of living out of a suitcase. After a very recent move back to be closer to my grandmother, and to find some grounding after all this running around, I still find myself researching flights to Europe, New York, and even to frigid Seattle. But I can’t go. Not now. Not for a while. And my gypsy soul grows weary. But it’s also a realization that it’s time to stop moving, face all the fears and tragedies from the past, grow with it and meditate on it (no matter how painful), and let it all go. Move on. Nearly five and a half years ago, my mother was shot and killed by my uncle, her brother. I was able to flee his bullets on that tragic Friday evening. He is now spending life in Angola. When I left in 2009, coaxed by my grandmother witnessing my pain of staying here and her need to forgive and move on in her own way, I had no intention of ever moving back here, facetiously hoping she would eventually cave in to moving to Paris or Barcelona or anywhere else. But here I sit over a buttery croissant, orange juice and soy hot chocolate at 8am on this chilly Saturday morning, five days before my 43rd birthday, in Lafayette, Louisiana. And if I drown out the conversations about Jesus and avoid eye contact with the camouflaged teenager, I can at least pretend I’m in Paris. Despite my trepidation of being back “home,” there is a reason to be here, aside from spending more time with Nana. 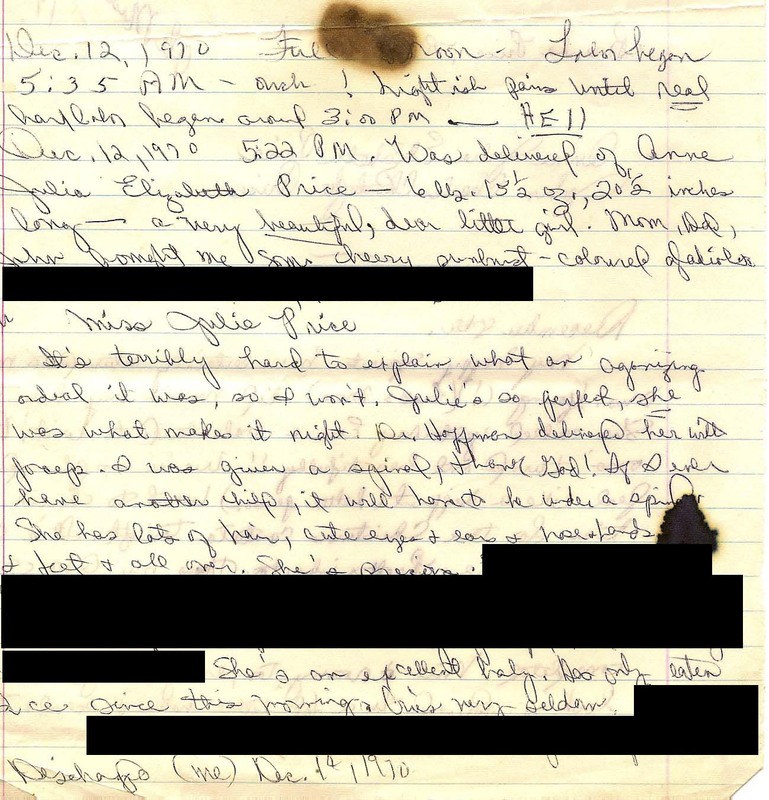 Yesterday, as I dug into Mom’s old writings while sputtering words into memoirs that may never be published, I came across an email she once sent me regarding her food memories. About 13 years ago, I recorded food stories from my grandmother and uncle for a university project, but very unfortunately was never able to reach Mom for her input. So discovering this lost email was a godsend and a reminder of the culinary connections she and I shared as well as the gifts this state, the south, and our travels have afforded us. It’s pretty much written, somewhere, that you can’t be from the south and not love food. During my younger days, I would accompany Mom to international food festivals, tasting lumpia from the Philippines and satay from Thailand. Happy hour called for pu-pu platters with spare ribs and rumaki to go with my Shirley Temple with extra cherries at Port ‘o Call in the MacArthur Village Mall. We’d frequent the neighboring Jewish grocery store, Owl Fine Foods, in Alexandria to window shop over caviar, escargots, and gefilte fish. Culinary books and menus from New Orleans to New York fed our upscale cravings as we sat together virtually selecting dishes from cheese soufflé and oysters Rockefeller to aspics and mousses. Our fondue parties were entre deux, spread out on a blanket on the floor complete with little dishes of bread, potatoes, pickles. And whenever anyone came over for dinner, she had to set everything perfectly on platters and break out the nice napkins, the cloth ones. Food was essential in our lives. Eating it. Making it. Trying something new. This is a tribute to my mother, a single mom with a beautiful soul, a life ended too early, and a lover of one of life’s most greatest treasures, that which binds our families, friends, and communities … food. “My earliest childhood memories are color-coded with food. I remember being at my paternal grandparents’ house in East Tennessee and smelling the wood burning on the old wood stove, and the smells of heavy-duty breakfast consisting of fried pork chops, potatoes, eggs, gravy, and biscuits. The early morning mountain air made everything smell and taste so wonderful! [Then] there are the food memories of our housekeeper, Edna – large lima beans, rice and gravy, cornbread, and biscuits. I learned to make iced tea and cook rice by age 7 … and open cans! My mother also made luscious cherry pies with latticework tops, and I remember smelling the frying oysters in her deep fat fryer. I also remember being at my maternal grandparents’ houses and smelling the fried chicken, steak and gravy, cakes, biscuits, and cornbread and Grandpa’s barbecue slow-cooking outside. Growing up, everything tasted so good, with the exception of much of the school food I tried to eat in South Louisiana. For some reason, I really didn’t like it at all, although I didn’t start my school years there and it wasn’t what I was used to at home either, so maybe that made a big difference to a small child. We were offered things like boiled eggs in tomato gravy over rice, green beans over rice, and other things strange to me. I think the cooks ran out of ideas at Lent, because during those days, Lent fasting including Wednesdays AND Fridays. Even though we weren’t Catholic, my mother conformed and to this day, cooks seafood on Fridays. When going on vacation, my mother ALWAYS took her electric pot and cooked rice, made tea, and heated canned roast beef and gravy and English peas in our motel room. I spent lots of time visiting my relatives in Tennessee through the years, and particularly enjoyed Aunt Alberta’s crispy fried okra and peanut butter fudge. When we went on picnics, this aunt made a potted meat/chopped pickle, mayo spread for sandwiches that was actually pretty good. One of my other Tennessee aunts cooked and served tiny amounts that were quite unsatisfying, but we figured since she was British, she was conditioned to the war-rationing of food. In Lockport, we always had lots of fresh seafood, from Bayou Lafourche and the Gulf of Mexico, such as oysters, shrimp, catfish, crabs, and lots more. I don’t ever remember knowing anything at all about crawfish, or knowing anyone who ate them. The first crawfish I ever ate was as a young teenager, caught by a string and piece of bacon, in the woods near a small pond. Frankly, I didn’t think it was too good, and it sure was ugly! I loved my mother’s “red” stew that was pretty much regular beef stew with tomato sauce in it. We always ate cole slaw, rice, and cornbread with it. She also made delicious rice and gravy, dried pinto and lima beans, fried chicken, and lots of delicious fudge, brownies, cookies, pies and cakes. My special favorite of my mom and grandmother’s was their banana pudding. My maternal grandmother always made popcorn balls for Halloween (which I really didn’t like) and white pecan divinity with cherries and date rolls (with nuts and dates) for holidays. At her house, the women did all the cooking and preparation, then the men and children sat and ate first. THEN the women ate and cleaned up after! One thing we had often in the winter was gumbo in a shallow bowl, with potato salad nestled on the side. We ate this with saltine crackers, homemade bread and butter pickles, and iced tea. My grandma also made a really good soup with beef, corn, potatoes, cabbage, onions, and tomato sauce. Of course, my grandparents used to have ‘boucheries’ too, and although the butchering was gory, the boudin and the rest of meat was great. Going to family reunions and ‘dinners on the ground’ (potlucks) have always thrilled my heart, since I knew I would get to taste all the delicious Southern food. Cooks have always tried to outdo one another with their recipes in the South. It’s a matter of honor to have your dish emptied and people brag on your cooking. Baptists are particularly known for these meals. Moving to New York state was eye-opening and introduced me to lots of food never eaten before such as clam chowder, Reuben sandwiches, cheesesteak sandwiches with deliciously thin-sliced steak, blue cheese and sautéed mushrooms, as well as different Italian dishes and Canoli. I saw and tasted varieties of squash and apples, freshly squeezed apple cider, fragrant grapes, bacon cheeseburgers, shredded, cooked carrots, and much more. It was certainly eye opening for an iced tea lover like me to face waitresses who replied with an astonished ‘we don’t serve iced tea in the winter’! Since then, I have eaten lobster rolls in Florida, grouper, mullet, smoked salmon in Seattle, lots of Middle Eastern dishes, and yummy Thai and Indian food. My dining horizons have extended to escargots (once! ), eel, caviar, sushi, rabbit liver, ‘weeds’ (at a gourmet food-tasting) and much much more. I am an adventurous diner. I have noticed that I don’t like hot and spicy things the way I once did as the heat obscures the taste of the ingredients, I think. I loved (and still do) eating at the fairs and carnivals. The fair in Oberlin always served gumbo and potato salad, cotton candy, caramel apples with nuts, corn on the cob, and sausage, peppers, and onions on a bun. She never really got the chance to master chopsticks and instead settled for a fork. And obviously, biscuits played a big part in her southern meals. I continue to enjoy escargots, eel, caviar, crawfish, steak with rice and gravy, and the like, but I really miss our lunches, afternoon tea, and fondue parties. Her culinary account is a tribute to the many beautiful flavors that have graced our plates and palates. I am thankful for a mother who pointed me in the right direction … to the table and the kitchen. 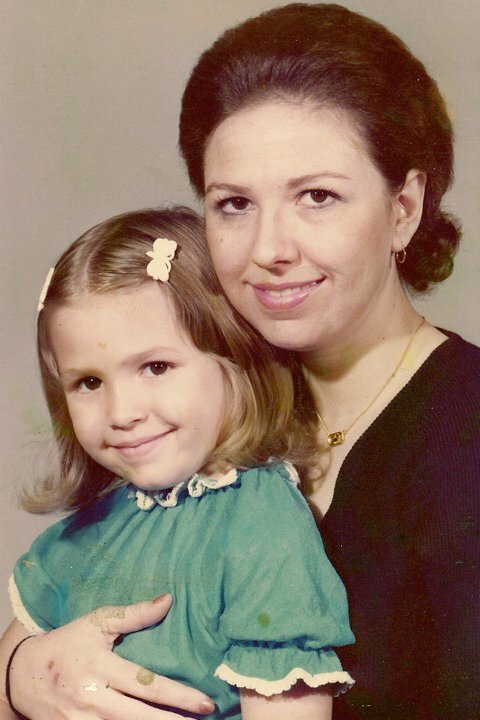 Thank you, Mama, and Happy Birthing Day to you! Previous Post Gordon Ramsey and the Swedish Chef – Food Fight! Next Post What’s New in the Crazy Food World? What a treasure to find! And your culinary experiences…such a gift. My mom’s idea of an adventure was going to the supermarket on Saturdays so we could try samples,usually from the frozen food section, which she never bought. For Thanksgiving this year, I sent her a box of my favorite things from Trader Joes. 🙂 xoxo, J. Thank you, Traca. We’ll treasure these memories forever. Lots of love to you. How are you? I think of you now and then….about the time I first laid eyes on “that beautiful southern girl working at Le Panier” I always told people at the market. I would love to catch up sometime. All the best!